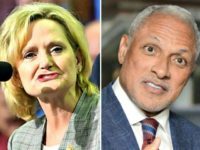 Democrats in Mississippi are hoping to pull off an upset in the November 29 Senate runoff election between GOP nominee Sen. Cyndy Hyde-Smith (R-MS) and Democrat nominee former Rep. Mike Espy (D-MS). 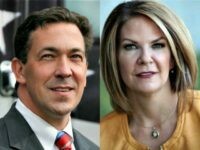 Conservative state Rep. Chris McDaniel (R-MS) leads Sen. Cindy Hyde-Smtih (R-MS) in the Mississippi Senate race, according to a poll released on Monday. “I did vote for a bill that has some funding in it for Planned Parenthood,” Hyde-Smith is heard responding to a question in a video released Friday by the Friends of Chris McDaniel. 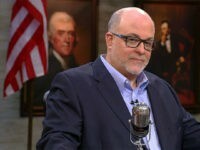 Syndicated radio host and television host Mark Levin proclaimed his strong support Thursday for Chris McDaniel in his Mississippi bid to take the Senate seat of fellow Republican Sen. Cindy Hyde-Smith. 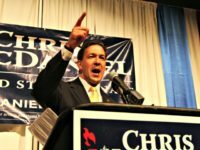 Mississippi State Sen. Chris McDaniel (R-MS) told Breitbart News Saturday that former Democrats such as Sen. Cindy Hyde-Smith (R-MS) tend to condescend to their constituents and disparage voters when they are losing ground in the polls. 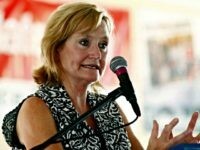 A previous leader of the Democratic party confirmed on Thursday that Sen. Cindy Hyde-Smith (R-MS) voted for Hillary Clinton in the 2008 Democratic presidential primary. 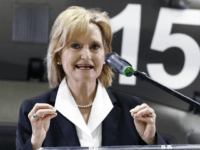 Mississippi Governor Phil Bryant appointed recent Democrat turned Republican Cindy Hyde-Smith on Wednesday to replace retiring U.S. 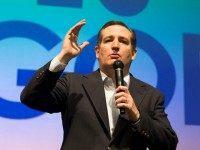 Senator Thad Cochran over the Republican candidate in the race to replace him. 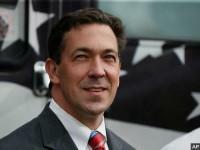 Chris McDaniel, a candidate to replace retiring Sen. Thad Cochran, urged Mississippi Gov. 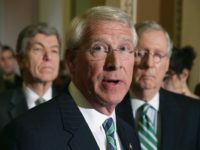 Phil Bryant during the weekend edition of Breitbart News Sunday on SiriusXM to prevent a Republican “bloodbath” and refrain from appointing a Mitch McConnell-approved candidate to the seat. Mississippi State Senator Chris McDaniel, the populist-conservative who came within a hair’s breadth of clinching the Republican nomination for U.S. Senate in 2014, announced Wednesday he would challenge his state’s other GOP incumbent this year. 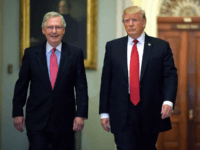 President Donald Trump said that Republican challengers to Mitch McConnell allies in the Senate had “scattered” after anti-establishment Republican Senate candidate Roy Moore was defeated by a Democrat in Alabama. 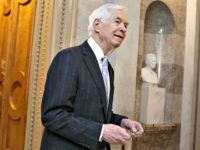 Sen. Thad Cochran’s (R-MS) future in the Senate remains in limbo as his health continues to decline; many speculate that he will retire early next year. 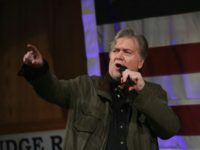 In a now-deleted article at NBC News, Jonathan Allen and Keri Geiger wrote that Breitbart News Executive Chairman Steve Bannon is planning primary challenges to both of Mississippi’s incumbent establishment Republican senators. 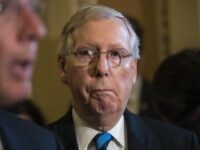 Senate Majority Leader Mitch McConnell is badly losing the war he is waging against his own party’s voters this Thanksgiving, a sign of the failed GOP leader’s waning power in the era of President Donald J. Trump. 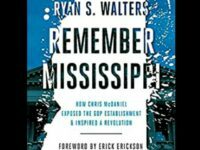 Ryan Walters, author of the newly released book Remember Mississippi: How Chris McDaniel Exposed the GOP Establishment and Inspired a Revolution, told Breitbart Washington political editor Matt Boyle, host of Breitbart News Saturday on Sirius XM, that the 2014 Republican U.S. Senate primary in Mississippi set the stage for Donald Trump’s presidential victory in 2016. 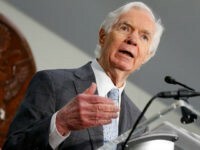 Senator Thad Cochran’s (R-MS) continued absences from Washington have reignited long-standing concerns over his physical health — and set up the possibility that both seats in the United States Senate from Mississippi, currently held by establishment Republican allies of Senate Majority Leader Mitch McConnell (R-KY), could be up for grabs in 2018. 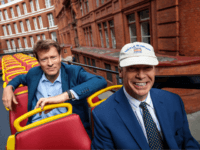 Conservatives and economic nationalist leaders are looking past the current dysfunction in Washington to a group of new and exciting young candidates throwing their hats in the ring nationwide to break the gridlock with midterm election victories. 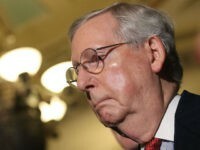 Facing enormous pressure from conservatives, and a brewing revolt against many of his vulnerable members, Senate Majority Leader Mitch McConnell bent down on wounded knee to pitch the debt ceiling deal President Donald Trump cut with the Democrats as a GOP victory. 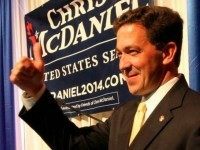 Mississippi state Sen. Chris McDaniel, a hardline conservative who nearly toppled Sen. Thad Cochran (R-MS) in the 2014 midterm primaries, told Breitbart News exclusively on Wednesday evening he is considering launching another bid for the U.S. Senate in 2018. 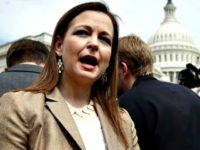 Mississippi State Senator Chris McDaniel endorsed Dr. Kelli Ward for U.S. Senate in an announcement released Tuesday as the former Arizona State Senator seeks to unseat five-term incumbent Sen. John McCain. Republican presidential candidate Sen. Ted Cruz (R-TX) has cancelled his visit to Mississippi, according to state Sen. Chris McDaniel. 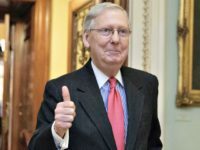 Dayspring was undoubtedly effective at crushing conservative primary challengers to longtime Republican senators and helping Republicans take over the U.S. Senate. But his tactics throughout his career have been so brutal and personal, he’s become a larger-than-life personality in politics—someone who often overshadows whoever his boss is—and sometimes border on reckless. 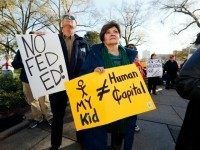 GOP establishment governors wedded to both Chamber of Commerce dictates and Obama administration federal incentives are signing legislation that promises to keep much of the Common Core standards and their associated testing in place. Fifty years ago, President Lyndon Johnson pushed the Elementary and Secondary Education Act (ESEA) through Congress, a $1 billion program to help poor students and less fortunate school districts. When he signed the bill into law on April 11, 1965, LBJ stated that he believed that “no law I have signed or will ever sign means more to the future of America.” If he meant a bleaker future, his prediction has certainly come true. Mississippi state Sen. Chris McDaniel could be in the U.S. Senate in Washington. Instead, he’s a conservative force in Jackson, and just helped lead the attack against some misleading legislation about Common Core. Put simply, not everything about human nature is reducible to society’s modes of production. A person is a moral, political and religious entity. And it is his natural complexity that we seek to conserve. 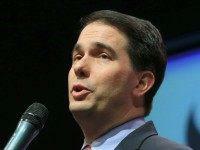 The GOP establishment can’t make Mississippi state Sen. Chris McDaniel go away. On Friday, McDaniel will be announcing—he told Breitbart News exclusively—a new Political Action Committee (PAC) designed to help conservatives across Mississippi, and the nation, get elected to political office, replacing GOP establishment politicians.